... it is about more than just insurance and investments. We believe that you the client and your financial needs must always come first. We are an independent insurance/investment brokerage that takes great pride with the high level of integrity we offer our clients. Our goal is to provide our clients with relevant and timely information to assist them in securing their financial security. 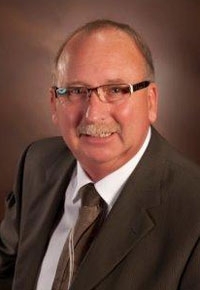 Jim Prince has over 28 years experience working in the insurance and financial industry. He has been licensed to sell segregated funds, life and health insurance since 1985. For almost 15 years, Jim was a commercial photographer in Toronto, Ontario. He was quite well known in the commercial photography field for his work. However, when he moved to Nova Scotia, his love of photography became a hobby instead of an occupation. Once in Nova Scotia, Jim decided to move forward with his career in the insurance and financial industry. He has always believed in educating himself so he can better educate his clients. * Jim has been a member of Advocis since 1985. * He has held the office of President of the Cape Breton Advocis Association 1990-91 and was Vice-President again in 2004. *In 2005, the Premier Association of Financial Professionals for the Million Dollar Round Table award recognized him for his achievements. Jim also works out of an office in Sydney, located at 64 Brookland Street, Sydney, NS B1P 5B2. He can be reached directly (902) 567-3995, or by using our online forms.